Weekend breaks are my absolute favourite kind of holiday. Wandering around a new city - eating, drinking, browsing - no rushing. It's just wonderful. My latest break was in Stockholm and it's what inspired me to write this post. I read up a lot of the city beforehand, but there were so many amazing parts and places that I hadn't read about, that you just must visit if you go. We stayed for 4 days and 3 nights, in late November and it was the perfect amount of time. It was cold, but to be honest, if you live in England it's nothing that you wouldn't have experienced before. Just wrap up with a hat, scarf and gloves and pick up some hand warmers (we bought these from Amazon) before you go - they are a lifesaver! I had heard a lot before I went about how expensive the trip was going to be, so that wasn't a surprise when I got there, but one thing I would say is that it's always worth it (perhaps beer excluded, it's far more expensive and they are far smaller than you'd get here in the UK, but when in Stockholm, eh!). I brought a lot of cash with me, which of course I managed to find a way to spend, but it is worth noting that a lot of bars and restaurants don't take cash, so make sure to plan that into your cash budget. When I'm deciding where to go on holiday (and eventually where to stay), I usually spend a lot of time browsing on websites like Secret Escapes, Voyage Prive and Chic Retreats. It's important to find a hotel that I'm going to enjoy staying in - but always for a good price. This time I booked our mini break on Secret Escapes and we chose to stay in the incredible Grand Central by Scandic in Norrmalm. It's a New York inspired hotel, picture neon slogans and music inspired artwork and you're there. If you're a music fan, you'll love it here. Grand Central by Scandic is located in Norrmalm - basically the city centre of Stockholm. Stockholm isn't big and incredibly easy to get around so don't worry to much about the location you stay in but if you can, I'd definitely recommend staying here. It's the hub for shopping in Stockholm and although it may not have been good for my bank balance, it was incredible to be so close to the action. 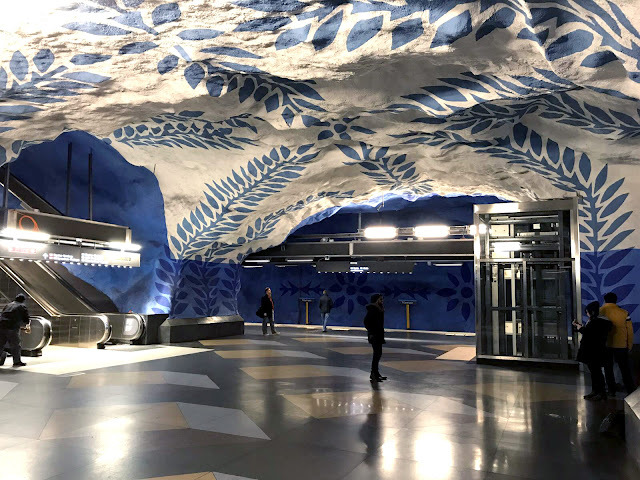 The hotel is also right by the drop off point for Stockholm's answer to the 'Gatwick Express' as it can take you only 20 minutes on the train to the airport. In the hotel, there is a large beautiful lobby pictured above - and is the perfect spot for a leisurely drink, they also have a small area for live music. There's also a restaurant and coffee shop/bar - all so beautiful we fell in love very quickly. Breakfast was included with our stay every morning. A usual buffet style affair, but the food was delicious. We often opted for bread, cheese, meat for my boyfriend and pickles - but there was some incredible granola and cooked options too. All delicious. The last thing to note, was that the service was pretty great. We were visiting Stockholm for my boyfriend's birthday and I let them know this before. Upon arrival, the brought us a gorgeous fruit basket and champagne to the room with a little birthday note - such a lovely touch. I'm usually an uber kind of girl when in a new city. Mostly because of the unknown of where on earth I am, but this time I steered clear as it just wasn't necessary. Stockholm isn't that big so really, you can walk around most of it if you're not in a rush. If you do need to get anywhere faster though, the public transport is so easy. I swore by City Mapper on my trip here (as I do for basically every day of my life in London) but it just made getting around so much easier to tell us our routes direct. We mostly opted for either walking all the way, or taking the underground, boat or tram part of the way and walking the rest - that's how you see so much of the city. Now this part I want you to take with a pinch of salt. 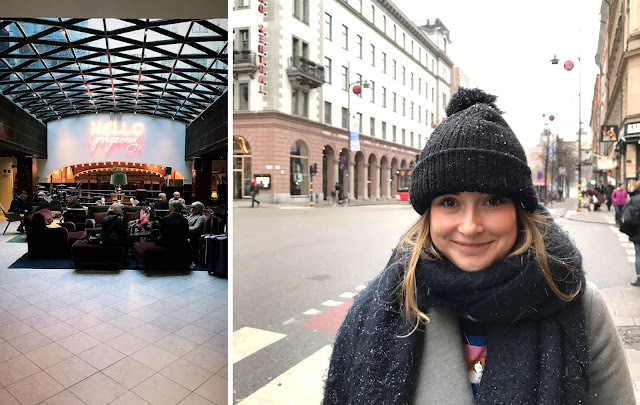 Yes there are some incredible must-visits in Stockholm but some of our 'best bits' where the times we stumbled upon hidden gems, while we wandered the beautiful streets of the city. Museums and galleries were a massive high point of our trip. There are some really great ones to pop in and see, and generally, these were what inspired our strolls to find some of our favourite spots. If you're into photography, the Fotographiska gallery is a must visit. They have different exhibitions on all the time, but I was blown away by the incredible quality of the imagery alongside the space itself. When I visited, there were three different exhibitions on, all with captions also included in English, and I adored it. After a browse of the gallery, we popped up to the restaurant for a quick pit stop and it was incredible. We stopped only for a drink but the food looked delicious. Although we didn't visit, I hear that Hermans is a a great option for lunch nearby if you're in the market. It's a veggie buffet and supposed to be great, especially if you're on a budget. 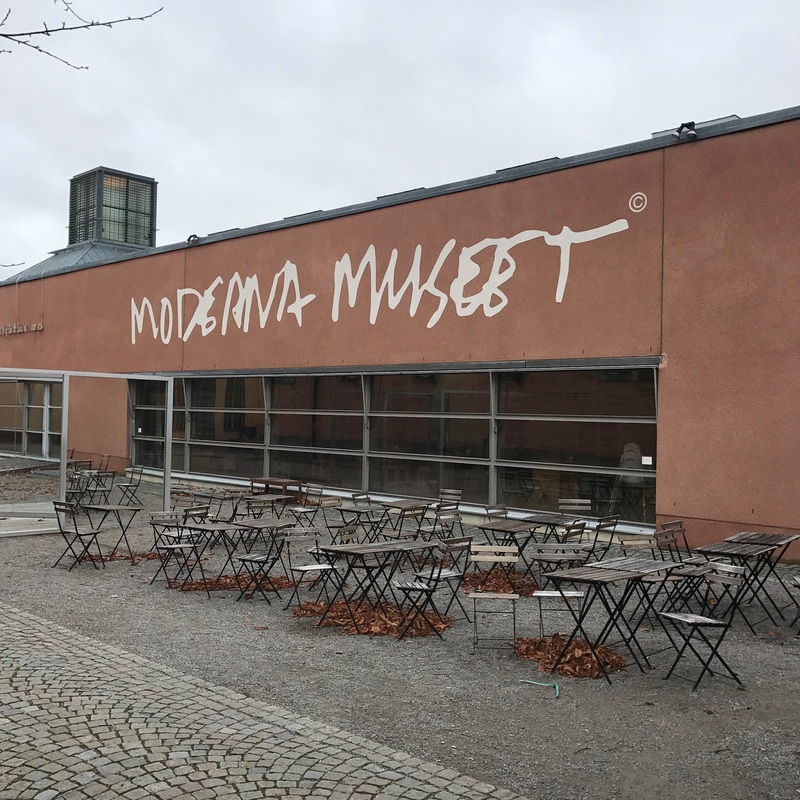 The Moderna Museet - Stockholm's answer to a modern art gallery - is a must see if you are into your art. A lovely gallery, not too huge filled with some amazing pieces. From Picasso, to Matisse and from Warhol to Tanning. There are some incredible pieces to see. It's also free entry to the main collection, so a great thing to do if you're on a budget. The shop is also pretty great too. The Spirit Museum was one of the more unexpected highlights of our trip. Though we adore our drinks and love browsing the spirit aisles in the supermarket and round duty free, we hadn't pegged this as a must see on our trip. If you're visiting the Vasamuseet, this is just round the corner so I'd definitely recommend taking a trip there too. A really interesting selection of exhibitions from the history of Champagne to a sensory experience of spirits, and a really lovely bar. Take a rest here before or after you browse the exhibitions, but make sure to order the cheese and honeycomb for a pick-me-up. It's delicious! They also do a really incredible spirit 'tasting board'. Whether or not this kind of thing is usually your cup of tea, I'd really recommend coming along as this really blew me away. The Vasa Museum shows the worlds only preserved 17th century ship - it capsized and sunk in Stockholm in 1628 and after 333 years, it was salvaged and preserved to the ship we can see in the museum today. The scale of this within the museum space is truly incredible. Highly recommend, even just for a bit! Probably my least favourite out of all of the museums we visited, (though I expect Joe - my boyfriend - would tell you differently) but if you're into history and history museums especially, it's worth a visit. There's a whole section on the vikings that's pretty good. It's free entry, so if you're in the area definitely pop in for a browse. Stockholm is absolutely incredible for shopping. There's a few key places I'd suggest to visit but otherwise, just roam around as there are super lovely shops hidden round so many corners. If you love the Scandi look - whether that's within your home or wardrobe, then there's going to be something you're going to fall in love with. I had to restrain myself from buying everything. Weekday is becoming more known and more widely available in the UK but I fell hook, line and sinker for the Weekday stores in Stockholm. There was one just down the road from our hotel and we visited it several times because it was just so blooming good. They also have their 'Zeitgeist' range - weekly screen printed t-shirts, each reflecting on a current event from that week. I adore this idea, and we found the stores had a few available sizes in prints from previous weeks. I picked up an incredible one, and I'm sure you'll see it on my Instagram soon. They are also incredible for knitwear, I'm already planning to buy more - oopsie. Again, much like Weekday, Monki is fast becoming one of my favourite shops in the UK, but again like Weekday in Stockholm, there are so many amazing physical stores like my favourite on Carnaby Street - but they're much bigger. If you're already picking up some bits when doing your usual ASOS shop, you need to pop in for some new, affordable garms. A bit of a mix of everything, Nitty Gritty in Sodermalm is the perfect store to visit with your boyfriend. 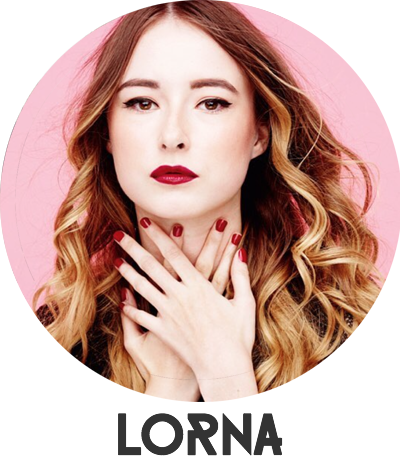 It's split into two shops - one for Women, and one for Men with an amazing magazine and book shop in the middle (onto that one in a minute) but if you want to browse some incredible quality Scandi pieces (clothes, beauty, shoes etc.) then it's definitely worth a trip here. This was one of the places I'd read about a lot online before I came. Everyone had recommended it. Papercut is a small-ish magazine and book store and if this is your thing, then this is THE ultimate store to visit. My boyfriend can spend hours browsing the magazine and book racks at stores in the UK so I just knew this was a must visit for us. The store includes a mix of Swedish and English books, so perfect for browsing and picking up some hard-to-find gems that you would struggle to find in the UK. This was one of my absolute favourite homeware shops in Stockholm. There's lots of them dotted around Stockholm but we were lucky enough to have one near our hotel - again much like Weekday, this was one we visited on the regular because it was so cool. Filled with lots of knick knacks and home goods, designed beautifully, this was an easy store to spend in. Again, this is something we do definitely have here but I just fell for the H&M Home standalone stores in Stockholm. They just know how to do homeware affordably, and I couldn't help but picking up a few things. If you're obsessed with the home sections in our H&M stores in the UK but like me, never feel like they're big enough, then you're in luck. Get ready for homeware heaven. If you go at this time of year, this shopping centre is a must visit. Stepping into MOOD Stockholm feels like your stepping into Christmas, because boy do they know how to decorate. Whether or not you're into the shops (though you should be, there's some incredible stores to take a look round) just come in here for a wander. It's truly so beautifully decorated you would really miss it if you didn't pop in. They have some really lovely restaurants inside for lunch too (more on that, later) , plus the bakery in here was where I picked up the most incredible cinnamon bun. I always judge a city based on how great their food and drink is. Stockholm did not disappoint. There are so many incredible and fresh flavours in all of the food, I couldn't help but fall in love. As always, I did quite a lot of research before I left - reading blogs, watching YouTube videos all about the best places to eat in Stockholm. I came armed with a list, and while I did visit one on the list, I'm actually glad we ventured a bit further and tried a few other places as they weren't always as good as expected. Pelican Restaurant was our biggest mistake - I had read about it everywhere and had heard such great things so we made sure we went there, though however I have to say it was quite disappointing. Yes the food was fairly nice and the portion size great, but was it any better than anything else we'd had? No, in fact it didn't even come close. So if you're taking a trip soon, I'd suggest maybe giving it a miss and trying something else. Nalen Restaurant in Norrmalm was the first restaurant we visited and I actually would say it was one of my favourites from the whole trip. We booked ahead and upon arrival fell in love with the place. It felt like the perfect date night venue and the perfect way to start our trip. We ordered a selection of things from the menu, several of their small appetisers, a 'smorgasboard' to start as this was the perfect way to try out several of Stockholm's delicacies to start the holiday. I had the Fish Casserole and Joe had the meatballs and both were absolutely incredible. They also give out the most delicious complimentary bread with your drinks. This meal was faultless and I wouldn't hesitate to go back if I had the opportunity in the future. This is a must visit if you want to try out Swedish cuisine in Norrmalm. Up with Nalen, this was one of my favourite meals of our trip. Barobao is a Swedish and Asian fusion Bao restaurant, and oh my god was it incredible. We stumbled upon this in Sodermalm after a visit to Nitty Gritty and Papercut in one of those 'hangry' moments where you think you'll never find anything. We ordered several bao, some with meat, some veggie and some veg sides. The bao were the star of the show, so if we went again we'd probably just order a few more to try. They were INCREDIBLE plus the design of the restaurant was beautiful. Miss Clara by Nobis is actually a hotel in Norrmalm, but the restaurant inside was really lovely, and the decor and menu attracted us to it. It was nice and quiet the night we went which was ideal. Great wines, and great food and if they have the Cauliflower on the menu, you need to order it with a side of the truffle fries. Incredible. Egoiste was a lovely lunch spot in MOOD Stockholm. We chose to sit here for the absolutely beautiful festive setting in the mall but weren't at all disappointed by the food or drink. I had a beautiful fish dish while Joe had an omelette and both made for a great lunch before we finished our trip. It very much got me in the mood for Christmas. If you're looking for a slightly quieter option in the shopping centre, this is a great shout. If you're looking for a pit stop around Stockholm, the likely hood is that you'll spot an Espresso House. It's basically the Starbucks or Costa Coffee of Stockholm but so much nicer. The interior is what got us to go in in the first place as it looked so cosy and we weren't disappointed by the drinks either. We started and finished our holiday here with a hot chocolate and the friendly service made us feel so at home. Honestly, if you're planning a trip to Stockholm take note of a few places which caught your eye but don't necessarily live by it. Wander around, that's where we fell in love with the city and had the greatest times - and if you have any recommendations, let me know in the comments below for when I go back - because I truly fell in love with the city.